SilverBob, Please take a measuring tape and something of a know size like a 5 gallon bucket to place as a reference. Appreciate your report in advance. Sounds too hot for me. I will say that for the past month all I've been able to think about is Saline. I miss it. 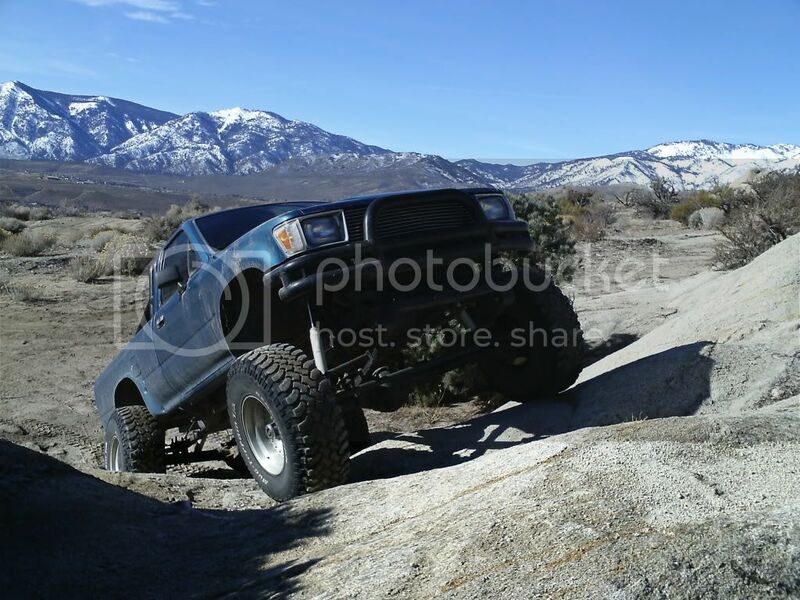 I'm planning a recon trip in from Big Pine on Saturday, August 3rd. Anyone want to tag along? A detailed report with pictures will follow. Sounds like one big hole. Wonder what part of NP it is located on. "Saline Valley Road from Big Pine to Death Valley was closed Tuesday morning after flood waters on Monday cut a 40-foot deep by 50-foot wide hole in the roadway, according to Sheriff Bill Lutze. The road will remain closed indefinitely." They may mean North Pass. We all know the morning report is fairly conservative. Hopefully North Pass will have a grader run it by the fall after the summer storms have calmed down. DVNP Morning Report of 7/25/13 says North Pass severely washed out and impassable. We are heading out to the springs in few hours, and we will be leaving on the 15th via south pass aswell. You will see us there, gold 4runner green bbq.....if you want to caravan out just let us know if you see us. Any recent updates on status of S Pass? We're coming in via Steele Pass and leaving Apr 15 via S Pass. The official NPS website says closed, as usual. Kudos to the guy who drove the biker to a hospital and then came back next day bringing another biker to drive the bike back. Visited the valley over the weekend and came in through the South pass. Coming down the canyon into the valley was a little hairy when we encountered the handful of washouts towards the end. Just took our time and played it safe. Would not attempt the canyon without a high clearance vehicle and solid tires. Fair amounts of washboarding throughout the entire trip, especially bad just north of the Southern canyon. Decided to go out the North pass which wound up being a pleasant trip. Just a nice stroll through the desert really. At points the wash was a little rough but nothing a sedan couldn't handle if they took their time. Came through North (down) and South (up) passes on Friday. North was easy, you could imo do it in a family sedan if you took it slowly. South had some tricky bits but nothing any 4x4 with strong tires couldn't handle. It's WAY better than the videos I saw back last fall. The road in between has some stretches of washboard and some minor washouts, as someone said - you can drive it mostly at a steady 25 mph (in a 4x4 anyway) as long as you keep eyes wide open. Passed numerous vehicles headed out via North Pass, including an elderly Toyota Previa (2wd) and a couple of RVs. Got passed by some crazy motorcyclists on the way into South Pass - must have been doing 40 mph+. I didn't know whether to be impressed or terrified. Then I was chatting to one of them this morning, I asked how they do it and he said, "yeah there's four guys in hospital and one we had to send a truck on a four hour drive to collect him after he broke his wrist". So now I know.